The Hawthorne outdoor lantern collection takes a modern approach to the popular Prairie design style. One-light large cast aluminum hanging lantern in an Antique Bronze finish with amber seeded glass. Hawthorne enhances outdoor areas and entry ways to your home. This outdoor wall lantern pairs well with classic outdoor dicor themes and rustic styled homes. The beautiful silhouette and brushed nickel finish captures attention and sets the garden mood alight. Durable weather resistant cast aluminum makes this a sturdy fixture for the outdoors. Canarm's newest addition features the decorative Bayard outdoor wall lantern. It comes in a bronze finish with clear glass wrapped in a metal cage. It's weather resistant and will last a long time. A must have for those looking to bring a fresh look into their exterior landscape. The cornerstone of the Providence Collection is quality, and this outdoor traditional incandescent wall lantern light is no exception. Combining a classic antique brass finish and posh styling, you will find no better way to highlight the charm of your home. With the superb craftsmanship and affordable price this fixture is sure to tastefully indulge your extravagant side. Heavily influenced by the Craftsman style, the Aberdeen Collection features birdhouse styling to complement natural settings. Antique Bronze finish enhancse simple linear details, while beautiful water seeded glass creates a diffused, stained-glass effect. 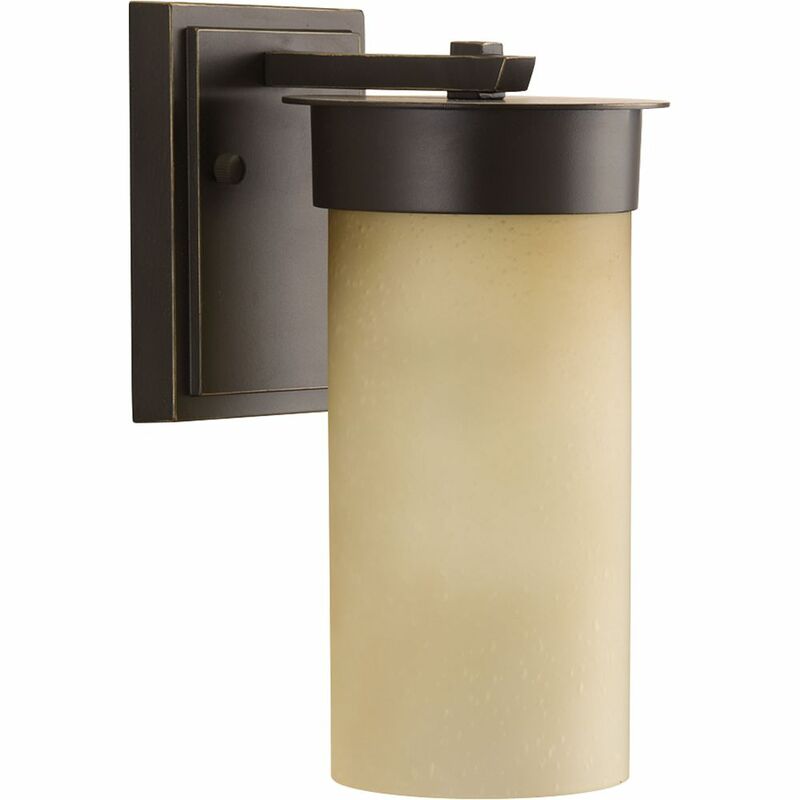 Hawthorne Collection 1-light Antique Bronze Wall Lantern The Hawthorne outdoor lantern collection takes a modern approach to the popular Prairie design style. One-light large cast aluminum hanging lantern in an Antique Bronze finish with amber seeded glass. Hawthorne enhances outdoor areas and entry ways to your home.